Hello, I have been googling (yepp i just said googling ) around for hours, and cant for the love of the network gods get this to work in any shape or form. 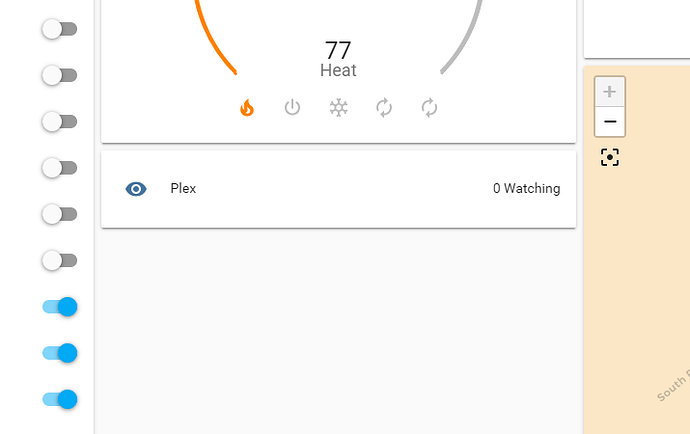 Have any of you tried this https://www.home-assistant.io/components/sensor.plex/ and gotten it to work ? nope, added in all sorts and cant seem to find anything to do with my plex. Yepp same here, I have tried just about all the different versions I have found in various forums, but still not gotten one to work. So if anyone have gotten this to work I would love to see the config. I suspect the issue is with the token, when you get it from the URL it is a temp token and it can change. Does anyway know a simple way of getting a permanent token ? I’ve been attempting to set this up for a few days now. My Plex server monitor works. Well, it tells me how many people are using my plex server and the name of what their watching. Make sure you use the IP address of the Plex host. Hostname will work but it does not do so reliably. Now the Plex Media Player… never got it to work consistantly.